Do you know that there are different types of leads? Are you the type of real estate agent who thinks that every lead is a good lead? Sure, every lead has value and is worth building a relationship with. But are you spending too much time on leads that aren't turning into sales? That's because you're probably spending your time on unqualified leads instead of qualified leads, whether they're FSBOs, expireds, pre-foreclosures, or a combination of all. Keep reading to learn the difference between the two and how you can spend your precious time on leads that will convert. Does your real estate office hand you a list of potential leads and tells you to call them? How many of them are a waste of time? Now that you know the difference between the types of leads, how can you spend more of your time working with qualified leads, and less working with unqualified leads? 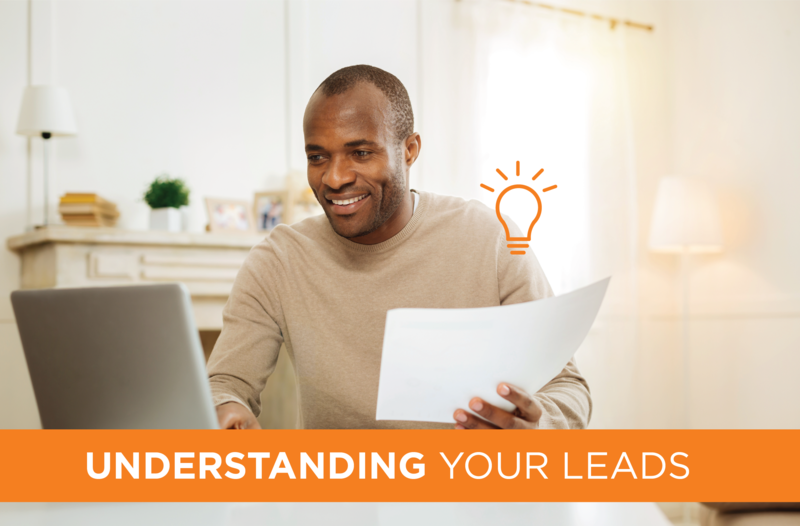 What's Your Lead Qualification Process? Some agents will spend their time on all types of leads because they don't have a system in place to qualify a lead. In order to create a lead qualification system, you should be crystal clear on the type of lead you want to work with. Think of the types of leads you want to work with (whether that's FSBOs, Expireds, or both), the neighborhoods you like to work in, the income level of the client, and the type of home they're looking for. You can then create a buyer persona, which is essentially your ideal client. This type of clarity will make it much easier to know what is a qualified client for you and who you can refer out to another agent. It will save you time and energy down the road from working with potentially nightmare clients or on complicated sales that are much easier to refer out. The best place to start is to grade a lead on the first contact. Maybe they're a referral, or you had an initial conversation with them or they filled out a form on your website. Budget: What is the budget they have to buy a home? Authority: Do they make all of the buying decisions or are other people involved? Need: How badly do they need an agent to represent them? Timeline: When are they looking to buy or sell? While this is a simple method for scoring different types of leads, you want to find the perfect lead for you. An in-depth method to score a lead would include questions such as the neighborhood they'd like to buy. You can also ask them how they like to work with agents or ask them how they expect communication to occur between the client and agent. The next step in the scoring process is to decide on a system. Will the scoring be on a scale from 1-10 or 1-100? Are some questions weighted more than others? For example, is the budget a client has to work with more important than the neighborhood they want to buy in? Perhaps a client is looking for representation now. How would that be weighted in your system? No matter what you decide, it's important to be clear on what the most important criteria are when you're in the qualifying process. What Do You Do with Unqualified Leads? There are many reasons why a lead is unqualified. Does that mean that you should completely discard them and never contact them again? Of course not. It's been shown that only a small percentage of leads are ready to buy or sell now. Not only that, up to 80% of leads close after five touches. Yet, only 8% of salespeople follow up that many times. As you can see, it's very important to develop a relationship with unqualified leads in the event that they become qualified leads later on. You can opt to put them on a newsletter list where they'll be contacted once a month. You can then follow up with a phone call every 3-4 months. No matter where a lead is in the process, it's important to have a system in place to contact them at all points in the sales process. Your follow up system should include a CRM to manage your leads. After all, you don't want to have to work off of post-it notes or an Excel spreadsheet. You need to decide how often you'll follow up with your leads, and how you'll follow up with them. For example, you might decide that leads that scored a 5 on your 10 point scale will get a call every month, and they'll get your newsletter. You may also decide that high scoring leads will require an appointment and several follow-ups afterward. How Would You like Qualified Leads on Demand? Lead generation is a challenge for virtually all real estate agents. How would you like to have qualified leads delivered to your inbox every single morning? Landvoice offers all kinds of leads, including expired MLS listings, FSBOs, pre-foreclosure leads, as well as our powerful Neighborhood Search tool.. All of these lists are designed to help you build your real estate business. Are you ready to change your real estate career for the better? Get started with Landvoice today.